TORONTO – Can the visualization techniques of star athletes be applied to the playing field of accounting, finance and business? Martin Hagger, professor of psychology at Australia’s Curtin University, thinks so. He is the author of Inside the Mind of a Winner, which lays out the factors that are linked to success for athletes, and asserts that their training techniques can be applied to many dimensions of life, including the careers of Canadian accountants like you. As a technique, visualization has been around for a long time — at least since the 1950’s — but its use is now widespread. For example, a team of eight sports psychologists accompanied the Canadian Olympic Team to Sochi in 2014, and used visualization as a key training technique. The University of Ottawa’s Terry Orlick, founder of the Zone of Excellence, has helped many athletes achieve their pinnacle of performance. In his book, PSYCHED: Inner Views of Winning, he and co-author John Partington document the inner stories of some of Canada's greatest athletes to give insight into their mental approaches. As Podborski recounts, visualization is more than just seeing — it incorporates sensations and feelings. The emotional sensations are an important element of the process. So let’s assume you are scheduled to make a board presentation. Keep in mind that visualization is one tool in your mental preparation tool kit — the others are techniques for goal setting and commitment, maintaining self-confidence, and managing anxiety. For this simulation, we are simply addressing the visualization process. The process of visualization is to ‘see’ in your mind’s eye the events unfolding and the results you desire before you actually do it. To begin, find a place where you will not be disturbed and is free of distraction, particularly sound — you want peace and quiet. If you are at work and in an office, close the door and turn off your phone. Next, get comfortable and relaxed — either sitting in a chair or on the floor cross-legged, hands laying in your lap or on the top of your thighs, and close your eyes. Separate your jaw as this slows the frequency of your brain waves and helps you sink into a relaxed state of mind and dissipate intruding thoughts. To further assist the relaxation process, focus on your breathing — smooth, slow inhales in through your nose, and smooth, slow exhales out your mouth. Your attention is focused on the sound of your breath. Breathe like this 10 times. Now you are ready to begin the visualization. Imagine that the screen that displays your visualization can be anywhere from the inside of your forehead to a metre in front of you —work with the screen that, through practice, works best for you, striving for clarity, detail and fullness of imagery. Picture the board presentation, like a movie, playing out on your screen. 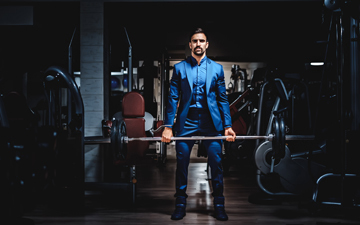 See yourself walking to the boardroom — how you are dressed, a smile on your face, appearing confident, self-assured, calm and at ease, friendly and personable, and feel the emotions they evoke in you seeing yourself this way, in your movie. You feel like the essence of success. Your arrival at the meeting and greeting the attendees — the impactful first impression. You haven’t started your formal presentation yet but the informal one is well underway. The beginning of your formal presentation — the moment you have everybody’s attention on you, how they perceive you and the tone for what’s to follow. 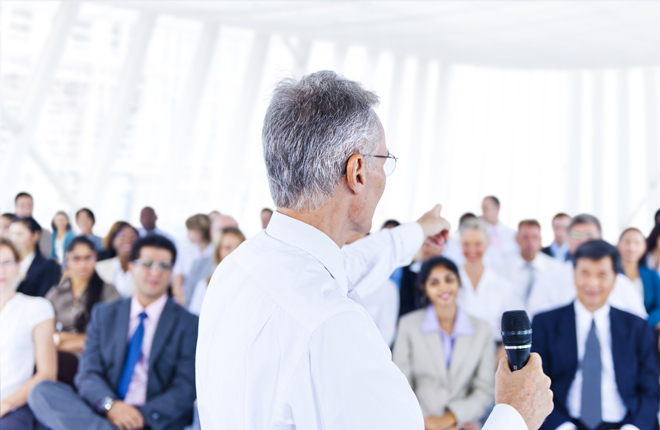 The wrap-up of your presentation — your final words and the initial response from attendees. Answering questions — listening, responding and satisfying the questioner. End of meeting — the informal banter, handshakes and congratulatory comments. During each of these moments, focus on clarity and detail and richness — how you look, how others look, dress, colours, lighting, smiles on faces, the warmth of a handshake, the confident and clear tone of your voice, your posture and movement as you speak, the nods and words of approval. Choose the adjectives and descriptors that best create your rich, full movie and include what you see, hear, touch and importantly feel. Feel the sensations of happiness and joy through every frame of the movie — as everything flows in perfect harmony. Feel the warmth spreading through your body as you watch yourself performing and achieving your objective. Do the visualization for about ten to fifteen minutes. Repetition gets the movie locked in, so set aside time each day preceding the presentation to perform your visualization. Mornings work well for most and, if you can fit in the time again at the end of the day, even better. If it’s possible, do so just about fifteen minutes before you are about to begin. Your movie will become your reality. Robert Gagnon CPA, CA, is a teacher and writer focussing on personal and professional development. He can be reached at essex@total.net.